A study by Human Factors and Ergonomics Society tested how employees feel during different breaks – silent rest, guided relaxation activities, and playing video games. As a result, only participants who played video games felt better after taking a break. Those who took silent rest and guided relaxation felt less engaged with work and experienced worry and distress. Playing games during your break is the time you can focus on something other than work, making you feel more recharged. So, we created a list of games that can fit into your 15min breaks or less. These games will help you stay physically and mentally active at work, as well as complete your daily tasks and goals. Getting some exercise during the workday not only will make you stay healthier but can also increase your productivity. By examining creativity levels of people while they walk and sit, Stanford researchers found that walking can increase creative output by 60%. That is, while walking you can generate 2x more ideas than in a sitting position. A study by Organizations in MOTION showed that employees who integrate at least some physical activity into their workday reported higher energy levels and heightened engagement. Here are three games that will make you stay active and have fun, either by yourself or with your colleagues. 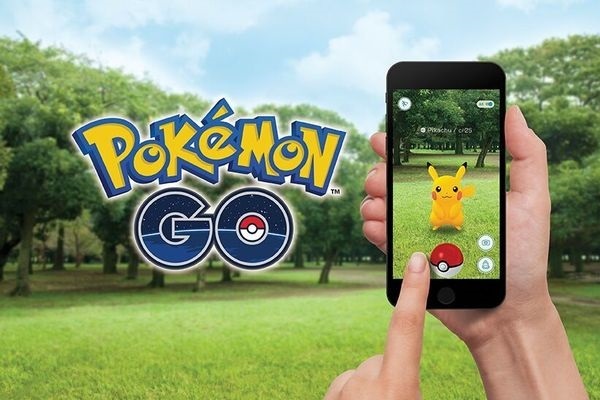 A throwback to the 90’s, Pokemon Go is fairly simple – all you have to do is walk and catch virtual Pokemon. Since the game can be played both indoors and outdoors, you’ll be motivated to go outside and get that well-needed fresh air. Besides, it’s a community game, so you might meet new people while playing it, which is an extra bonus. The game provides you with a virtual map, which is like Google Maps but with added gamification elements (like portals and gems.) You walk around with the app open, and if the phone vibrates, you know – there’s a Pokemon nearby. Once the Pokemon appears on your screen, catch it by swiping up on your screen, which will release an interactive ”Poke Ball”. Just Dance is a perfect workout during the day. 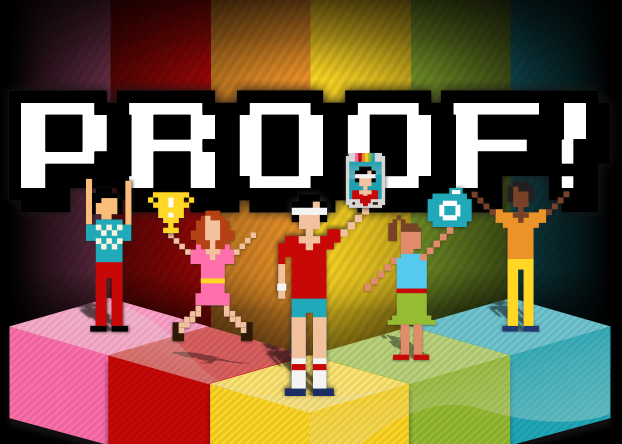 If you love dancing, you’re sure to enjoy this game since it allows you to show off your dancing skills. The best part? Dancing is found to help to relieve stress, and it upscales your brain activity and memory, that way increasing your mood and work productivity. 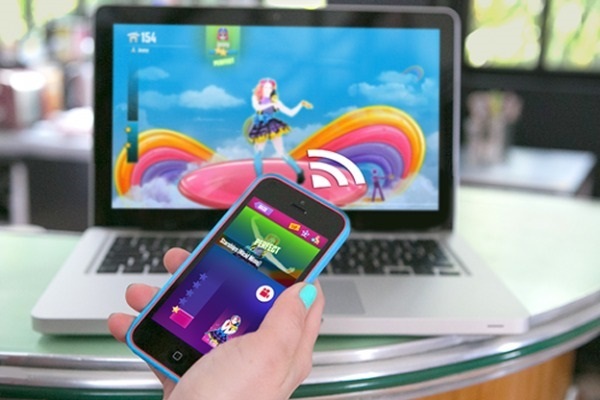 Download the app and open the Just Dance webpage on a bigger screen – computer or TV. Then, your phone becomes your controller that will monitor your moves, which, hopefully, will match those displayed on the screen. Choose your favorite song and show off your groove. Don’t want to dance by yourself? Involve your colleagues! Instead of table tennis that’s so popular in offices today, host a dance-off competition. The one who gets the most points – wins. This way, you will not only have fun and move during your breaks but also have quality time with your team. A fan of Walking Dead and all things Zombies? 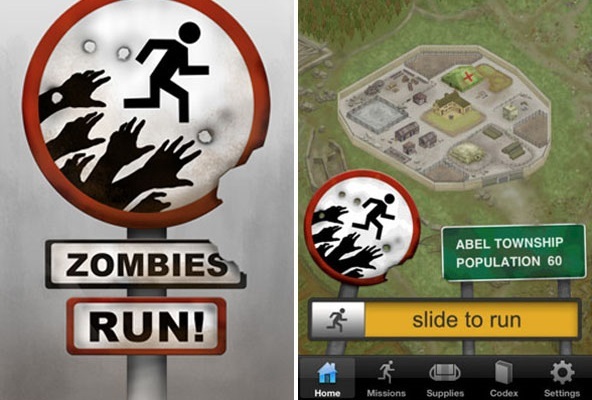 Zombies, Run! is a chance for you to train your survival skills and stay fit at the same time. Zombies, Run! is not only about exercise but also about strategic thinking, creativity, and careful planning. One wrong move and you’re out! The game helps players train their planning and strategizing skills, so as a manager, consider encouraging all your team to join it. Zombies, Run! is a mission-based game, which basically means that you listen to a story via headphones, while collecting supplies, setting up bases, and running away from virtual zombies. If you’re too slow, a zombie will catch you, and you’re done. This game, similar to Pokemon Go, also transforms your real world, adding virtual game elements to it. Regularly challenging your mind with mental exercises helps you develop a better memory that will further make you more efficient at work, remember important work-related details, and always stay on top of your to-do list. Even better, boosting your brainpower helps you stay more focused at work and maintain your psychological well-being – and that’s equally important. Here are the games that will help your mind stay fit and in shape. 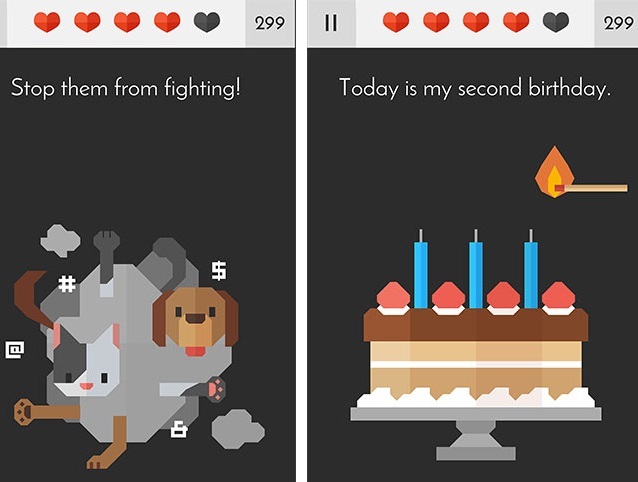 Heads Up is a mobile version of charades. Playing a round or two won’t take a lot of time, but it can teach you a lot about the importance of both verbal communication and body language – the game requires you to explain words to your partner by either describing them using other words or using only hand gestures. That said, it can be an excellent exercise for customer service representatives, as they often must communicate with customers and explain the services provided. Involve your colleague to play the game, then choose a topic, let’s say ”animals”. Then, place your phone against your forehead and make your colleagues explain the words he or she sees on your phone. When you’ve guessed the word, tilt your phone down, and the next word will be shown. The person who guesses the most words – wins. Millionaire is the classic TV game on your mobile phone. It’s a fun way to test your general knowledge, as well as learn new interesting facts. Who knows, maybe something you’ll learn playing this game will pop-up in a conversation with your client or your boss, so you’ll be able to leave a good impression. Besides, a recent study by Cambridge University found that similar trivia games may reduce the risk of dementia and improve player’s ”episodic” memory – memories collected from the individual’s own life – by about 40%. That’s another motivation to play this game. Tricky test is a game that requires some cunning thinking, so it trains your creativity and “out of the box” thinking. That helps when you must participate in brainstorms and generate new ideas or find solutions to work-related problems. 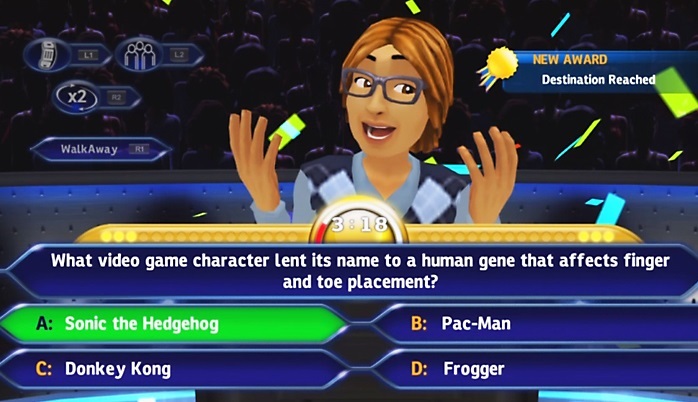 The game is a set of trick questions where answers are not as straightforward as you may initially think. For example, you have pictures of an apple, a carrot, and a pineapple, and you’re asked to put fruits in your basket. In this case, you must only move an apple and pineapple to the basket, since carrot is not a fruit. Taking breaks is great, but don’t forget about the actual work at hand. Without proper time management, you can forget to do a certain task during the day, move it to the next day, but then forget about it, and eventually miss the deadline. To remember to get everything done, we make to-do lists. However, studies show that 41% of tasks from to-do lists never actually get done, which can cause anxiety and stress because you haven’t managed to do something. 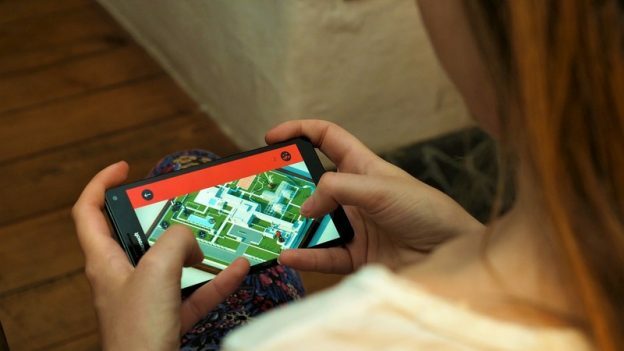 Instead of writing old-fashioned to-do lists, try these mobile games that will boost your motivation, help you get more organized, and do all that – while having fun and gaining rewards. 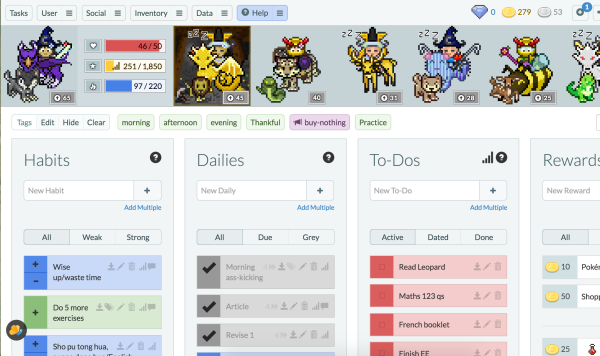 Habitica is a gamified task manager where you unlock new features for every task completed on your to-do list. The game awards you for every task completed, and since it’s found that every award is an extra dash of motivation, it’s sure to make you more productive and help you to get on with your goals. The game helps you develop and follow up on your habits. For example, it can remind you to drink more water during the day. And the best part: Habitica has RPG game elements, similar to World of Warcraft, League of Legends games, which makes it more interesting to play. Create your avatar when you download the game and create your to-do list for a day or week. Mark tasks as done when you’ve completed them, earn points for each completed task, and get rewarded with a chance to upgrade your avatar. If you don’t complete your tasks, you may get punished – some of your power points can get deducted, you can lose the gear you have, or even get attacked by a dragon. Ever needed some words of support to complete your tasks? With Proof, you can get that extra motivational push from your friends, family, or colleagues to complete your daily or weekly goals. With this extra accountability, you’ll be forced complete your tasks to prove to others that you’re not slacking. You can also challenge and compete with your work colleagues and decide on internal rewards for the best performer. In Proof, you create your to-do list and add tasks to it. Whenever you complete a task, you must take a picture and share it with your followers as proof that you’ve actually done it. Now you talk about motivation, eh? Work can be all fun and games, and such attitude can help you do more things, be more creative, and be satisfied with your job. So, go on and choose the best game out of this list and spend your breaks playing it, while relaxing and just enjoying yourself.